Understanding social anxiety disorder is the first step in getting your life back on track. If you think you have social anxiety, or know someone who may be affected, understanding social anxiety disorder can go a long way to helping you or your loved ons on the road to recovery. Otherwise known as “social phobia” a social anxiety disorder is far more common than you may think. People you converse with at work may suffer from it and you might never even notice. 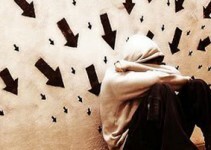 Social anxiety disorder is a crushing and uncontrollable fear of social embarrassment or inspection. Being the one in the spotlight during a conversation is terrifying for somebody with social anxiety disorder. This means that those who suffer in this way really do struggle to enjoy social functions and events. The problem with social anxiety disorder is that the longer you live with these thoughts & fears, the easier they become to mask. 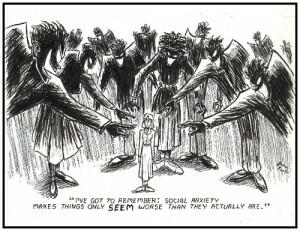 The most common symptoms of a young child suffering from social anxiety disorder are quite easy to spot, for example. They will typically want to be left alone, show visible sadness and have few or no friends. Any child who suffers from this before the age of twelve may suffer to overcome this problem in later life as it becomes ingrained in their psyche. Social anxiety disorder can be crushing to career and life prospects as the prospect of getting a partner or going for a high-paying job, or even an educational course, can be so off-putting that it never happens. The problem is that, unlike children, adults can cloak their symptoms well. The main way of defeating social anxiety order is, unfortunately, to get into the public eye and to deal with it head-on. Support groups are available widely online and in local communities to help people come together and improve their social disposition. There’s no need to feel this way in your life, and if you feel that even simple things like eating in public or going to the shops brings on feelings of dread, you might want to look into this even further.